Jan. 23, 2019: It’s a new year and a great time to think about your health and fitness. Here are four great ways to get fit and be healthy. Personalized and Special Attention to its clients and offers Personal Training, seven days of Zumba classes and Group Fitness classes. 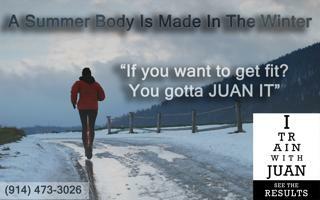 The goal is to show clients that they can get fit, they will get fit and they gotta "Juan It." They offer Low Impact Zumba classes, plus Zumba Toning classes which use 1½ to 2½ lb. weights. Zumba classes are very popular with a different instructor teaching every day. In total, Juan employs twelve different instructors to teach classes and personal train. 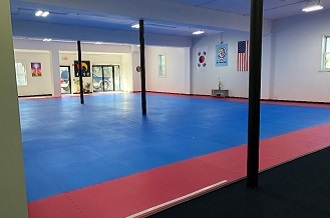 This gym offers a variety of classes to get you started, keep you going, or take you to the next level. Classes include Leg Day, Core Conditioning, Bootcamp and Boxing. Juan helped his top female client lose 119 pounds and his top male client lost 117 pounds over a two-year span. The top male client actually teaches bootcamp classes for the gym now. All sessions are geared to their clients availability and they understand every member has a different formula to achieve their goals. For beginner and intermediate clients, they offer Zumba Dance/Toning, Core Conditioning and personal training. For those who are intermediate to advance they offer classes like Leg Day, Bootcamp, and Boxing. Group classes are smaller in size to ensure each member gets the attention they need to achieve their goals without injury or over-training. For the month of January there is a special that is being offered for 50% off current prices. Also, your first training session is free for January. This family-oriented business has a personal touch environment. For example, there is a raffle once a month to win a free month. The more classes you attend, the better your chances of winning. Hours of Operations: Open 7 days from as early as 5am to 9pm. Flexible with personal training hours. Complimentary towels and water are provided. hot phiitness is in Bronxville! hot phiitness is a fantastic boutique studio which incorporates state of the art sound, lighting and heating systems to provide an intense, full body workout experience. 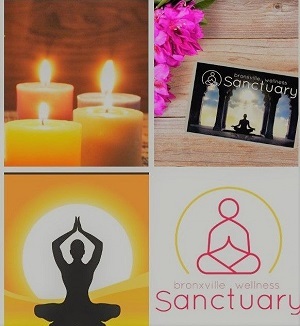 Introductory offer for new clients - 30-day unlimited classes for $65. Mary Siegel is the dynamic owner and instructor of Smart Moves Pilates. Mary has been teaching the Pilates Method of exercise for 17 years which is: "A system of exercise using special apparatus designed to improve physical strength, flexibility and posture, and enhance mental awareness." For example, she uses springs instead of weights to accomplish results in her clients. Most of her clients come to her for private sessions, but she will also hold small semi-private classes. Mary specializes in teaching people who are in Post rehabilitation from back surgery, knee and hip surgery or other injuries in addition to all levels of Post pregnancy. She has greatly helped people with Parkinson's disease as well as golfers to improve their game. She teaches 6 days a week starting early most days. There will be a 30-minute meditation to ground our wisdom and nourish our being. The event will take place at Weezie D in Bronxville (15 Park Place in Bronxville). RSVP is required. Email CLOAKING or call 914-337-1008. Class is complimentary! Limited space! Bring yoga mat.